As readers may know, I have been looking rather forward to the stupendous sounding TWE Whisky Show for a while. Well, I’m happy to report that the fest did nothing less than “wow” me when I went on Friday. Rows of whisky companies snaked along the walls and, as I walked in, it took a minute for me to take it all in. Where to start? Which to choose? Should I go for the familiar or aim for some newbies I’d not tried before? Like a kid in a candy store, I felt overwhelmed by it all – but finally made the choice to head to the Number One Drinks stand to start. May as well start at the top, right? A bottle I can't wait to try and get my hands on! I was not disappointed. On show was a rather fabulous quartet of Japanese whiskies. 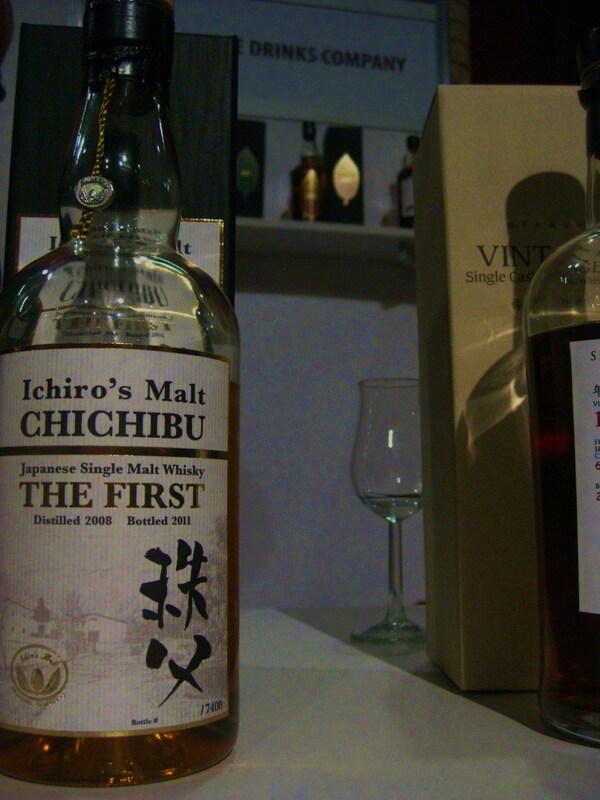 My favourite was the Ichiro’s Malt Chichibu: flavoursome, with caramel and citrus notes, and a surprisingly soft bite given it comes in at a rather hefty 61% ABV. 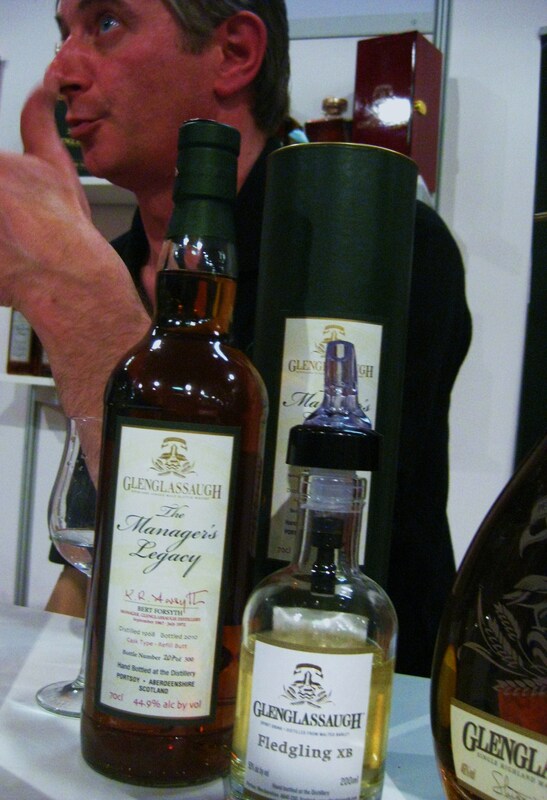 The bottle was only shown for the first time at Whisky Live: Paris at the end of September. With only 900 bottles due to come to the UK (out of 7,400 bottles made) I expect it will sell out quite quickly, but you can be sure Gwiltypleasures will be hanging around with her credit card at the ready when it does hit the shelves. Next up, I wandered over to the Balvenie stand where Balvenie Ambassador Dr Andrew Forrester was chatting about the mix he and Malt Master David Stewart put together as the “Dream Dram” for the event. I tried it, the Signature and the PortWood, all of which seriously pleased my palate, with the PortWood being my favourite (if post-drinks-event memory serves me correctly). Next up was the English Whisky Company – the first whisky distilling company in England for more than 100 years. I was keen to find out more about this distillery based in Roudham (near Newmarket) and spent a long while chatting away to MD Andrew Nelstrop about how it came about. “Our family had been farming for 600 years and we got bored of sending our barley elsewhere,” he told me. And what a good idea that was. The two I tried (Chapter 9: the Peated Single Malt, and the Cask Strength) were both delicious. None have been chill-filtered and all have a slightly sweet flavour, which Nelstrop puts down to the hard water they use at the distillery. An English triumph indeed! So, the only question then was, where to next? I’d seen so little in the first 90 minutes at the fest, but was already feeling the effects of the spirit – but, with not a sandwich or foodstuff in sight, I could only do the honourable thing and push on! Running in to Mark Thomson from Dramatic Whisky, we headed over to try a gorgeous Glenglassaugh – the Chosen Few (chosen by industry veteran Ronnie Routledge) was a smooth, 35-year-old oakey, appley whisky, which, despite its age, still came in at an impressive 49.6% ABV. Gorgeous! I also had a wee tipple of the Fledgling XB, a 1-year-old, straight out of the cask, taster – it was superb: caramel, soft fruit, with an aftertaste of apricot and camembert. What followed is a hazy blur of many more delicious whiskies – unfortunately, by this point, my ability to take notes was fading – I know there was a ’78 vintage Balblair, a special edition Longrow Burgandy bottling from Springbank, an ’88 Glenrothes, and a few at the fantastic Compass Box Whisky stand. But after that, it blurs a bit. Nonetheless, I couldn’t have been more pleased at the range of distillers on show at the fest – unless there had been a really large kebab stand waiting to hand me food as I left. Maybe something to think about for next time chaps? All in all, Gwiltypleasures were satisfied and many a whisky dream followed when I finally got myself home to rest my weary whisky head on my pillow! My name is Alwynne Gwilt. I am a London-based journalist who blogs about her favourite guilty pleasures in life, including: whisky, travel, and food (whether cooking or just eating it). Posts frequently feature "the boy" - aka my star of a boyfriend (and food tester).